CHANDIGARH : Punjab Education Minister Dr. Daljit Singh Cheema described `Vidayanjali’- a school volunteer programme as a unique initiative to promote volunteer activities in the school and complimented Union Human Resource Development Minister Ms. Smriti Zubin Irania for this new venture which will help in widening the horizons of students of Government Schools. Speaking at the launching ceremony of `Vidayanjali’ at India Habitat Centre, New Delhi Dr. Cheema said that there are countless highly experienced and intellectual personalities from different walks of life whose presence as volunteer in the school premises can enrich the atmosphere of the school as well as it will also act as a check on the accountability of the school. He said that the `Vidayanjali’ Programme which is aimed at taking services of all these experience persons for human resource development can provide an amicable platform for these people. 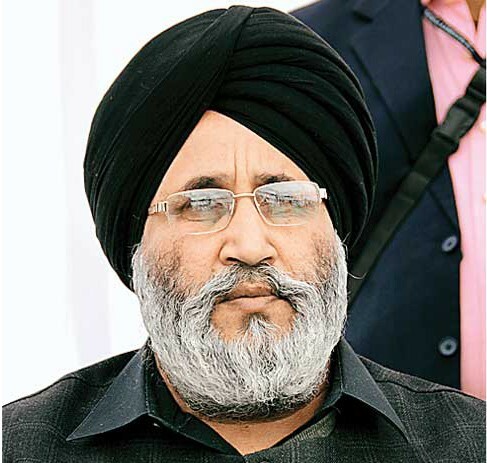 Dr. Cheema further said that whereas the help of different professional can be taken for encouraging co-scholastic activities the retired teachers from the education department can help in remedial coaching to the week and needy students of the government schools. While positively reacting to the suggestions Union HRD Minister Ms. Smriti Zubin Irani accepted this suggestion on the spot in her speech and said that they can prove to be boon if they spare some times as volunteer to provide quality remedial coaching. Dr. Cheema informed that `Vidyanjali’ programme will be start in 100 schools in the state of Punjab as pilot project. He also highlighted the achievements of meritorious schools of the state and informed the dignitaries as well as the gathering about the selection of 31 students of meritorious schools for various IITs of the country. This got a thundering loud from the whole audience. Prominent among others who spoke at the occasion included HRD Minister of State Dr. Ram Shankar Katheria, Education Minister of Jammu & Kashmir, Secretary, HRD and representatives of World Bank and UNESCO. मोदी सरकार की प्राथमिक शिक्षा सुधारने के लिए एक बड़ी पहल "विद्यांजलि योजना"